We understand. There's so many options for quoting and proposal tools that it's hard to know which one is right for you. We're here to make that decision easier. QuoteWerks has been developed and refined for over 25 years and is used by over 85,000 users worldwide. Companies initially consider QuoteWerks based on our reputation, affordability, real-time/product content functionality, CRM/PSA integrations, QuickBooks integration, and our detailed and flexible output. Customers continue to love us because of the accessibility of our staff, the high levels of customizations that they can create, the resources we provide them with, and the level of support they receive. With over 85,000 Users in 101 countries QuoteWerks is the Market Leading sales quoting and proposal solution. What really sets QuoteWerks apart is it's turn key implementation, affordable pricing, legendary phone support, and most importantly the 55 integrations with CRM, Accounting, Distributors, FedEx/UPS, Leasing, Sales Tax, Microsoft Word, Dell, Cisco, HP, CDW, NewEgg, Provantage, Staples, and more. QuoteWerks is used by companies in almost every industry and by companies of all sizes. Do the math, many apps express pricing as monthly but charge you for 12 months at a time. We mostly charge you an upfront price to purchase the software, rather than requiring you pay us forever to use our software. We also don't require commitments, some quoting tools require you to commit to a 2 or 3 year monthly contract. Real, genuine, helpful people you can speak with on the phone. Customers love us because the accessibility of our staff. Many quoting/proposal tools don't even list a phone number on their website to contact them for anything. When you're in the middle of your day and encounter some kind of problem, it is just unacceptable to have to send an email for support and just wait indefinitely for help that may never come. If you like to learn on your own, we have a detailed help file and over 144 videos. QuoteWerks integrates with the leading CRM web apps. It also integrates with the leading Desktop based CRMs (like ACT!, Outlook, Outlook BCM, GoldMine, SalesLogix, and QuickBooks) which web apps cannot do. If you already store your customers/contacts in something (usually a CRM), QuoteWerks can use that information. Web apps cannot integrate with ACT!, Outlook, Outlook BCM, GoldMine, SalesLogix, or QuickBooks (for contacts). If this is something you need, there are only a handful of quoting tools that can do this. If you need to integrate with the desktop version of QuickBooks, there are only a handful of quoting tools that can do this. QuoteWerks creates a detailed and flexible output. Don't settle for cookie-cutter forms that offer no customization. Many quoting/proposal tools functionality stops with the quote. QuoteWerks continues on and enables you to do the purchasing of the items you've quoted, and even track the receiving of the items. A Ferrari and a VW Bug are both cars. They can both claim to be cars and they both have the basic elements required to be a car, however the robustness of their elements are wildly different. The same concept applies to quoting and proposal software. You can create basic quotes in Excel and QuickBooks, but they are very basic. Many quoting tools are basic and do little more than what Excel or QuickBooks already does. QuoteWerks is the market leader because it provides many advanced solutions in a turn-key package. Both have their merits, and the best choice for you depends on your needs and priorities. 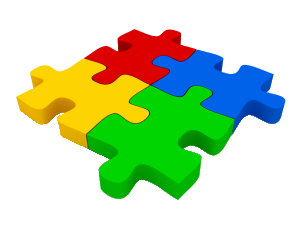 Some features and integrations simply are not available in quoting/proposing tools that ONLY have a web based product. QuoteWerks has both a web based and desktop based product. It really comes down to your needs, if you use a desktop based CRM or Accounting Solution, then a web based quoting app is not an option. Still not sure if QuoteWerks is right for you? Visit our testimonials and reviews pages to see what others are saying about QuoteWerks or give us a call at 407-248-1481 ext. 2 to speak with one of our product specialists. Find out how much time and money you can save with QuoteWerks today! With a variety of quoting software packages found throughout the web, we understand that it can be difficult to analyze the differences between these quoting software packages in order to make the correct purchase based on your needs. 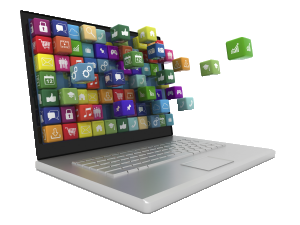 We have provided this list of tips to help you find the right quoting software for you. This list of tips will give you a good basis for comparison of quoting software solutions. Make sure that the software has a money back guarantee. Believe it or not, but some software manufacturers do not offer a money-back guarantee. QuoteWerks does come with a 30-day money back guarantee. In fact, it is relatively easy to do. However, as it became easier to write software, more less qualified software companies have appeared that write lower quality software products. It does not cost much for a one-person operation to write quoting software and then make it available for sale on their website. On the surface, all software products listed for sale on a website often appear to be equal. When you look a little deeper, you will clearly see the differences. Is the application stable and well written, or does it crash constantly? The best way to find this out is to request a demo version of the software. It is easy to write software, however it takes knowledge and experience to write software that works well and that is stable. Does the company have a network of businesses that can help you install the software and integrate it into your existing systems? More established companies usually have a "Reseller channel" of local companies that have experience with selling and installing the software. Companies have different update policies Some companies release updates every couple of months, and some companies make no changes to their software for two years at a time. If you purchase from a company that releases updates every couple of months you will benefit from the new features constantly instead of having to wait for years. QuoteWerks is both easy to use and very powerful. The trick to that combination is that we do not clutter the interface with a lot of buttons and menus most users may not need. Instead, when you need a more advanced feature, you will usually find it in a pop-up menu or other non-distracting area.. QuoteWerks is known to be very stable. Our customers tell us that we are very responsive to pre-sales and post-sales technical support inquires. We believe in providing our prospects and customers with an exceptional level of service, and therefore all of our knowledgeable staff can handle both sales and technical support inquires so you do not get the run around. We have a network of QuoteWerks solution partners world wide to assist customers with the installation and integration of QuoteWerks. QuoteWerks is our flagship and only product so it receives our complete attention to detail and commands all of our resources. We are very proactive in releasing updates to our software. We release updates every couple of months that contain many significant new features which are usually found only in full version releases every two years by other software manufacturers. So, find out what type of support (phone support, email support, newsgroup support) is available and included, and how much support (in terms of minutes, days, months, years) included in the purchase of the software. If phone and email support is included, find out how quickly will you receive a response. Don't assume anything here. Often, it can be days before you receive a response. One way to gauge the response time is to call or email with pre-sales technical questions to see how responsive the company is. Rest assured that if the company responds quickly to your requests before you have even purchased, you will most likely continue to receive that level of support once you have purchased. Is the support staff knowledgeable? Receiving a response quickly is not very useful if it is not accurate or complete. We offer phone technical support. You can easily pickup the phone and reach us. Our customers tell us that we are very responsive to pre-sales and post-sales technical support inquires. We believe in providing our prospects and customers with an exceptional level of service, and therefore all of our knowledgeable staff can handle both sales and technical support inquires so you do not get the run around. Is the company a software company or consulting company? If the software product that you are purchasing from them is not the source of their primary revenue, you can be sure that they will not be focusing all of their resources of the product. Not focusing all of their resources on their software product will by definition slow the development of new features and the responsiveness to product improvement requests. Also, some companies release products that are not well document and that are confusing to setup specifically so that they can require that you pay hourly consulting rates to them to setup their product for you. It works for them, they gain extra revenue, but you pay the extra price for their lack of up front effort. We are a software company. We focus on developing an intuitive, easy to use, well documented product that does not require paid consultant time just to install or use. We have a 790 page user manual, tons of tutorial videos, and you can reach us on the phone (included) for technical support, so you don't have to pay us to learn our software. This avoids the time consuming hassles of obtaining, and then returning products, just to get a look at them. Most people evaluate demo software when they can find some time in their schedule to look at the software, so it is also important that the demo version does not expire, gives you at least gives you a couple of weeks to evaluate it before it expires, or the ability to easily extend the trial. QuoteWerks offers a completely functional demo version that only limits the number of quotes and the size of the quotes that can be saved. If the demo expires, you can contact our sales team to extend your demo. When you can't reach a company by phone, it makes it very easy for them to release a substandard product because once they have your money, they can just ignore your emails. It is much harder to do that over the phone. 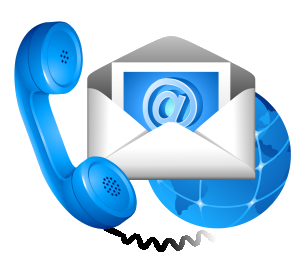 You can reach our sales line by phone just as easily as you can reach our technical support team by phone. Most commercial desktop software retails for around $249 per license. If you find desktop software for sale that costs much more like $400 or $800 per license, it usually means that the company bases it's business practices as more of a consulting company as opposed to a commercial software company, and they want/need the higher price because they are not selling as many units as a commercial software company is. Consulting companies by definition usually bill out all their employees by the hour (often $100 per hour or higher) and are used to charging high prices for their skilled labor. That is a good arrangement for them, but not for their software customers. Software that stores it's data in SQL server databases will generally be priced higher than $199 per license because the added complexity of SQL server costs the software manufacturer more to educate their technical support staff, and maintain the integration. Also, is the software sold as a one time fee or as a monthly subscription? Can you cancel at any time or do you have to commit up front to pay 12 months at a time? Some companies require that you pay setup fees when you purchase their software. How does the company count the number of licenses of their software you are required to purchase? Do you have to buy a license for every machine the software is installed on? Do you have to buy a license for every user that will ever use the software? Even for a bookkeeper that might use the software once a month? QuoteWerks is cost effectively priced starting at USD $199 for a single-user. It is a one time purchase, not a monthly subscription. Our licenses are sold per concurrent user, not per named user, so if you have someone that only occasionally uses QuoteWerks, you don't have to buy a license for them. You will be hard pressed to find a product that costs less, and that delivers so much. Although the same feature is advertised in both software packages, the feature may require additional steps to use, or may not work the way you assumed it does in one or both of the packages. Sometimes the biggest difference between software packages is not the advertised features, but the way in which the advertised features actually work. This can significantly increase the cost of the software, and it increases the amount of setup and maintenance time required. It is very rare for commercial grade software to be written in Microsoft Access or Microsoft Excel. Closely examine the advertised contact management integration features to make sure that they meet your needs. For some quoting software packages, the extent of their integration may only be to retrieve the contact name and address information from a contact record in the contact management software. While other quoting software will do more like writing back forecasted sales/sales opportunities, schedule follow up calls, etc in your contact management software. Companies sell their products based on many different pricing methods. Some companies discount from list, others markup from cost, sell based on volume, customer price levels, etc. If your quoting tool does not support the pricing method your company uses, that would be a deal breaker. 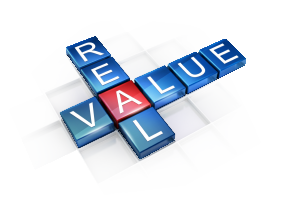 QuoteWerks supports a very complete and comprehensive range of pricing methods. Some quoting software has pre-defined quote templates that you cannot customize at all. Others allow you the limited ability to modify some of the aspects of the printed quote like changing your company logo. Some quoting software charges extra for a module that lets you customize the printed look of the quote. Some quoting software requires external software in order to modify these quote templates. Some quoting software allows you complete and comprehensive control over the look of the printed quote including the ability to create formulas that calculating things like monthly leasing figures, and more. Since you will be using the quoting software to store all your product information, and all of your quoting and ordering information, you need to be able to retrieve useful reports using all this information. Some quoting software does not include any ability to create or run management reports. The inclusion of reporting features is an indicator of a mature and complete quoting software package. Some quoting software has pre-defined quote templates that you cannot customize at all. Others allow you the limited ability to modify some of the aspects of the printed quote like changing your company logo. Some quoting software charges extra for a reporting module that lets you run these reports. Some quoting software allows you complete and comprehensive control so that you can create reports to filter on whatever information you would like, and you can also customize the look of the report including the ability to create formulas that calculating things like monthly leasing figures, and more. QuoteWerks has pre-defined report templates and a built-in visual layout designer (no extra charge) that allows you to modify them extensively, and to create new reports. The QuoteWerks report filter builder allows you to create reports that contain only the data that you want in the report. The layout designer supports the ability to create custom formulas. Some send the quote in the body of the email as simple text so the formatting is not preserved resulting in the information floating around instead of aligning with columns, rows, etc all of which looks very unprofessional and unimpressive when received by your customer. Some quoting software e-mails quotes as a Rich Text Format (RTF) attachment. The RTF format preserves all the formatting of the quote, and when received can be viewed and printed by any word processor application. Some quoting software e-mails quotes as an Adobe Acrobat PDF (PDF) attachment. The PDF format preserves all the formatting of the quote, and when received can be viewed and printed by the free Adobe Acrobat reader that can be downloaded from Adobe's website ( www.adobe.com ). For the method of sending the e-mail, some quoting software has no built-in email functionality and relies on automating external e-mail software like Microsoft Outlook. Of course, if Outlook is not available, it cannot be automated, and you will not be able to use the quoting software's e-mail feature. Also, generally speaking, it takes around 20 seconds just to load Outlook if it is not already running which is undesirable. The upside to automating Outlook is that the e-mail will be sent using your existing email software, so there will only be one software packages sending your e-mails instead of two different software packages. Some quoting software has their own built-in SMTP e-mail client. The upside is that a built-in quoting software e-mail client using the SMTP mail protocol is much faster and more reliable than automating an external e-mail system. QuoteWerks has a built-in e-mail client that uses the SMTP mail protocol, and can also send e-mails using Microsoft Outlook, and e-mails quotes as either an RTF or PDF formatted attachment. If your quoting software does not integrate with your accounting software, you will have to print out these orders, and then have the accounting department re-type the orders into the accounting software. If your quoting/ordering software integrates with your accounting software, you can eliminate this unnecessary re-typing of information into the accounting software. Some quoting software does not offer any accounting software integration, others offer integration with a variety of accounting software packages. Also, some quoting software packages offer generic order exporting in delimited text file or xml file format that some accounting software packages are capable of importing. QuoteWerks offers optional links to QuickBooks and Peachtree accounting software. It also offers generic text file and xml file format exports. You may also want to limit who can view, modify, or delete each users' quotes. If security features are important to you, make sure to find out if the quoting software has any security features, and find out exactly how those security features work. Some quoting software packages have no security features at all, some have limited security features, and some have a comprehensive suite of security features. QuoteWerks has a comprehensive suite of security features allowing administrators to control which menu options are available to each user, which users can view/modify/delete each users' quotes, and a variety of misc. security rights. QuoteWerks also has a built-in approval process. This enables the administrator to require approval when certain thresholds are met (like margin for the document or even a certain item is below a specific amount) the quote will require approval before it can be sent to the customer. While this is a logical requirement, if you can find a quoting software package that lets you link to an existing product database source instead of having to import a static copy you will benefit by not having to maintain product information in more than one place. While most quoting software packages will let you just enter product/service information "on-the-fly" in the quote in addition to selecting items from a product database, some quoting software packages require that all products that you quote must be in a product database. Some quoting software has specific links to vendors product databases that the vendors publish to the public. QuoteWerks can link to any ODBC compliant data source for product information so you do not have to import the product information into QuoteWerks if you already store it somewhere else. QuoteWerks also has links to PC Industry Distributor databases such as D&H, Ingram Micro, SYNNEX, and Tech Data. This link is useful in that you do not have to import data that is already in their databases, you can just use it. It is very important to have access to real-time pricing and availability information so that you have all the tools you need to get product to your customer fast and as low priced as possible. Having access to real-time pricing gives you the ability to deliver last minute price savings to your customer. Having access to real-time availability gives you the company the ability to know if the product will ship today, or if it will be backordered. Since a backordered product cannot be shipped to a customer, knowing that a product is backordered before placing an order will give you the tools you need to make a good purchasing decision. QuoteWerks has a Real-time Data Module that retrieves real-time pricing & availability from IT/AV Industry distributors Accutech Data, Arbitech, Bell Micro, BlueStar, D&H, Dexxxon Digital Storage, Digitek, Ingram Micro, Printer Essentials, Supercom, SYNNEX, Tech Data and more. Your quoting software order will already contain all the product part numbers, quantities, pricing, and ship to location - yet when placing an order you would need to call your sales rep and read each part number, quantity, price, warehouse, and ship to location to him/her during which errors can be introduced. QuoteWerks has the ability to submit electronic orders online to D&H, Ingram Micro, SYNNEX, and Tech Data. Some quoting software packages have no ability to synchronize / import / export their quotes. Some quoting software packages can synchronize quotes in either an automated or manual process. Some quoting software packages cannot be used in countries where the decimal separator is a comma. Some quoting software packages can automatically retrieve the currency and decimal separator information from the Microsoft Windows regional control panel. Other quoting software takes international support a step further by allowing you to quote in your base currency and an alternate currency at the same time. This is very useful for when you create sales quotes for customers in other countries and you want to present the quote to the international customer in their own currency. Canadians have different sales tax requirements than Americans, including GST, PST, and HST. Some quoting software supports the Canadian sales tax requirements, and others do not. QuoteWerks allows you to quote in both your base currency and an alternate currency at the same time. Canadian sales tax is supported. For example, if you select a 17 tire rim, the next step in the Configurator would only show you 15 tires that would fit on the 17 rim that you selected. Configurators are extremely useful for making sure that all the correct items are included in a quote, and they make your sales force highly efficient. Some quoting software packages contain Configurators and some do not. QuoteWerks has a built-in Configurator as described above. The more comprehensive quoting software packages will also support the ability to add subtotal, running subtotal, % discount, % charge, and comment type of line items to the quote. If you are used to using these types of line items in your quoting, it will be difficult to do without them. QuoteWerks has a comprehensive list of line item types as described above. The advantage to storing data in industry standard database formats is that it allows you to externally access the data that is in these databases. This is useful for creating applications that can enhance the quoting software's functionality by reading and writing to the quoting software's database directly. This is also useful if you need to create reports using external reporting software like Seagate Software's Crystal Reports. Additionally, since you can view and modify the data from external applications, it makes it possible for you to export or extract your data in the event that you no longer need the quoting software and want to get your data out, or maybe you want to copy the data that is in the quoting software into some other software package. The problem with storing data in proprietary formats is that no-one else can read or modify that data - including you, the owner of the data. You lose data flexibility and data longevity when you select a product that stores their data this way because your data is held hostage inside of their proprietary format that you cannot get to or export when you no longer need the quoting software. As a patch, some quoting software packages that store their data in a proprietary format offer a utility that collects all the information in this proprietary format and then saves it to an industry standard database format that you can then view or export. This is a less than perfect patch because it means that your data in this database will never be real-time. You will always have to run the utility to have it update the industry standard database with the proprietary database information (your quotes). QuoteWerks data is stored in industry standard Microsoft Access 2002/2003 databases in the Standard and Professional Editions or a Microsoft SQL 2008/2005/2000/7 databases in the Corporate Edition. Sometimes the favorable review is so old that the publication that published the review no longer exists. In other cases, the review might have been published years ago when competing software did not exist, and therefore the reviews can be misleading.